Last week, Prime Minister Narendra Modi’s government announced annual cash transfers to India's massive population of small and marginal farmers. The move comes days after a vow by the opposition party — Indian National Congress (INC) — to guarantee a minimum income for every poor Indian if voted to power in upcoming parliamentary elections. Why it matters: Universal basic income has emerged as a major battleground in Indian politics. The fate of either party’s proposal will influence not only the trajectory of India’s development, but also the global popularity of the idea, which is touted as the antidote to both poverty and technology-driven unemployment. Background: Basic income proposals have proliferated in India amid widespread rural distress and growing despair about welfare programs long plagued by corruption and inefficiency. Supporters argue that direct cash payments to bank accounts will better reach beneficiaries, eliminate middlemen and streamline public finances. Critics worry about underinvestment in core public services, the Indian state’s limited capacity to distribute large-scale transfers and the political difficulty of rolling back existing programs. Details: Successfully establishing a targeted basic income will involve a historic reorganization of India’s welfare state. Voters will weigh each plan's transfer size and frequency, eligibility criteria, and implementation relative to existing public programs. The Modi administration will provide 120 million small agricultural households with an annual transfer of $84. The program's biggest challenge is sufficiency: With the payout equaling less than 1% of both the average income and debt of eligible households, it may be too little too late for India's agrarian crisis. The INC's proposal is more ambitious, potentially reaching 300 million poor Indians. It would first establish a national minimum-income level and then transfer to each individual the difference between their income and that threshold. But this could present challenges for the Indian state, as administrative delays are frequent even among programs with fixed payments and clearly identifiable populations. The bottom line: With unemployment at a 45-year high, and more than half of all farming households in debt, there is a growing political consensus that direct cash support would eradicate poverty faster than traditional welfare. Whatever decision voters make will have major implications for both India's civilian population and its politicians. 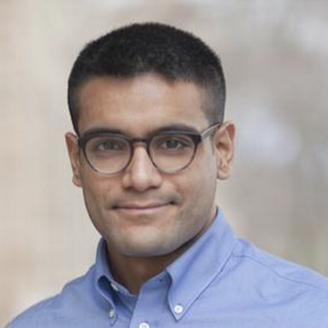 Saksham Khosla is a master's candidate in international economics and international development at the Johns Hopkins University School of Advanced International Studies and a former research analyst at Carnegie India.